Patrick comes to us via a short chain of friends of friends but more importantly than that, he works 2 blocks away and loves to eat, making him an instant new lunch-mate. At his request we meet for noodle soup, picking nearby Fu Kee. 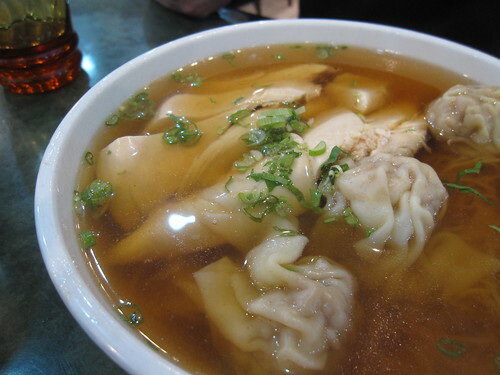 Did you know you can add wonton to almost any roast meat noodle soup at a Chinese restaurant? Yes it's true. They'll do it for you if you ask. *Note for today: the soups were not as good as last time or our memory of last time. We'll have to try again and hope for better. just wanted to let you know that i've been reading your blog every day for like the past year. really enjoy it!!! FU KEE!! Love that place! Thanks for putting it on my radar! fig: thanks! we're so glad you like it!